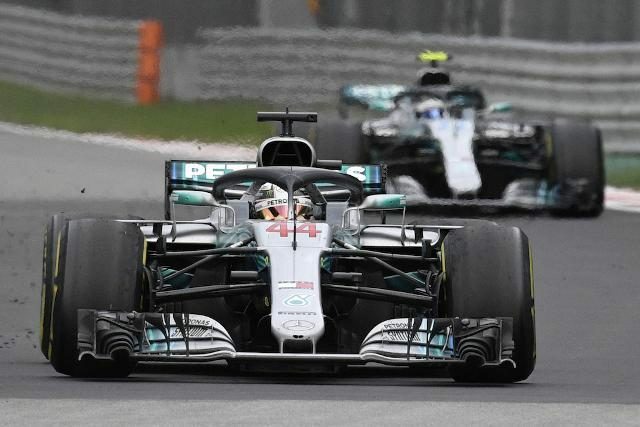 Lewis Hamilton limbered up for this weekend’s Japanese Grand Prix by going fastest in Friday’s first free practice almost half-a-second quicker than Mercedes team-mate Valtteri Bottas. But despite his issue, Hamilton struck an important psychological blow. Vettel, whose hopes of pipping Hamilton to a fifth Formula One world title look increasingly forlorn, needed to harvest as much data as possible with typhoon rains forecast for the weekend. Max Verstappen rounded out the top six as Red Bull, Mercedes and Ferrari dominated once again. Esteban Ocon’s Force India was seventh fastest 1.9 seconds off the pace, followed by the Haas of Frenchman Romain Grosjean, with the Saubers of Charles Leclerc and Marcus Ericsson completing the top 10.